Brian D. Stokes | Attorney | Alvarez, Winthrop, Thompson & Storey, P.A. 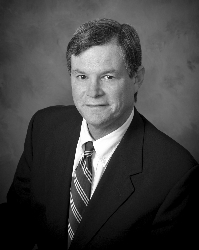 Board Certified by the Florida Bar Board of Legal Specialization and Education in civil trial work, Brian Stokes has nearly 30 years experience helping clients to resolve complex issues by combining his adept and aggressive legal skills with careful strategy and planning. As a partner at Alvarez, Winthrop, Thompson & Storey, Brian focuses his practice on the defense of medical malpractice and personal injury claims but also has extensive experience in commercial litigation, premises liability and commercial transportation insurance. A seasoned litigator and trusted source of guidance for clients, Brian is a Florida Supreme Court Certified Appellate and Circuit Mediator as well as a Mediator for the United States District Court for the Middle District of Florida. He routinely represents companies in several industries including health care providers, product manufacturers, insurance companies and commercial transportation companies, including automobile dealerships, trucking companies, and bus lines. Brian is just as active in the community as the courtroom. At the age of 19, he became the youngest councilmember elected to the Indian Harbour Beach City Council. In 1994, he was recognized with an Award of Excellence from the Orlando Legal Aid Society for his countless hours of pro bono legal aid.